Monday - Friday 8am ~ 5pm Satuary 9am ~ 1pm. 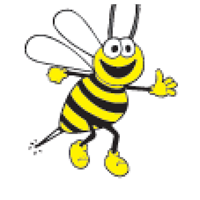 Busy Bee Termite & Pest Control has been proudly serving North East Florida since 1998. We provide a variety of service to take care of your pest control needs ranging from Residential and Commercial Pest Management to a revolutionary Termite Service. We can handle all of your pest control needs. Some of the most common pests we deal with are bees, wasps, termites, wildlife control as well as common household bugs. It's our goal at Busy Bee Termite & Pest Control to continue to build a reputation based on excellence in service. We will go the extra mile to insure the job is done right. We provide thorough inspections including a free estimate and our technicians are up to date on the latest pest control techniques. Josh is an amazing technician, he goes above and beyond when on this property. We very happy to have Busy Bee and Josh service this community. Josh provided outstanding customer service! Not much I can say, other than, your inspector did a thorough job, and did it on my schedule. Thst means a lot, when there's no time to waste. Scott, as ever, proved he is extremely knowledgeable and proficient. He is also a master at managing the client. :-) Additionally, Anna, was very helpful, and extremely patient. Lengthy, in depth, efficient and courteous service with readily understandable feedback, thanks. I’m very happy to have worked with you and to learn of the needed repairs. Michelle Akser is my very good friend. She highly recommemded you! guys, especially Derek are very helpful solving our problems. The service guys were very pleasant and the process went very smoothly. The technician showed up on time, was thorough and knowledgeable. We received the written estimate on line very quickly. The workers that came out were quick and friendly, and the office lady went above and beyond to help me with a credit card issue. Very easy to work with! We were able to schedule quickly and our necessary reports for home buying were available for review next day! Great service. As usual, job done in a professional manner. Thanks for coming when scheduled. Always friendly and does a good job. No bugs here!! Derrick was at my house when they said he would be there. He found the source of my problem, treated my home inside and out. So far no more pest, so I am happy. Great service. The gentleman that treated my home was very professional and super friendly. Would definitely recommend this company. Professional representative, preformed inspection while second inspection was in process. Your rep made what could have been a hectic mess into a smooth transition. We were pleased with his patience and verbal report.Thank you. As first-time home buyers we are happy we trusted Scott, at Busy Bee with our WDO Inspection. He found everything and since it was on the WDO, the seller quickly agreed to fix all the repairs. Thanks Scott !!! Great service; had the same tech for years, and he’s always thorough, caring, and courteous. I can’t say enough good things about him! Always on time, thorough and friendly. Professional and knowledgeable. Courteous and pleasant to deal with. Reasonable pricing. Reliable service year to year. great job well done Larry Smallwood. I adore this company. I refer you to anyone who will listen. My service representative is a pleasure to work with and very accommodating. They were very courteous and I was satisfied. excellent service and very effective treatment. Great Job. Very professional and detailed. Would recommend to others. The rats are gone! So I am very happy with service. Fast service, wide offering and excellent staff. Thanks for all the help as we moved into our new house! Highly recommended. Great service for 20 years! Well, O haven't been able to really use your company so we shall see..btw, payment was made by my property management co. The other day.